A group of pastors in Rumford, Maine are attempting to have LGBTQ books banned from the Rumford Public Library’s display of banned books. The library is holding a board meeting today, where the controversy will be discussed. 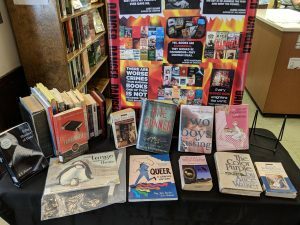 The National Coalition Against Censorship and Comic Book Legal Defense Fund support Rumford Public Library’s display and freedom to choose how best to serve their community. NCAC and CBLDF oppose efforts to limit a whole community’s access to books based on the personal viewpoints or religious beliefs of some groups or individuals in that community. As public institutions, libraries are obligated not to discriminate on the basis of viewpoint or sexual orientation. 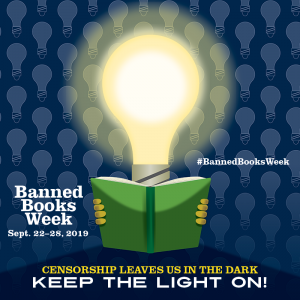 The display coincides with Banned Books Week, an annual celebration of the freedom to read, highlighting books that often draw challenges in schools and libraries. Half of the books on this year’s American Library Association Top 10 Banned Books list tell stories of LGBTQ characters. Books representing a wide variety of experiences and voices allow readers, particularly children, to find connection, safely explore unfamiliar ideas, and broaden their understanding of the world. This article was originally posted by the National Coalition Against Censorship. The Comic Book Legal Defense Fund has posted additional information and a statement from Executive Director Charles Brownstein here.